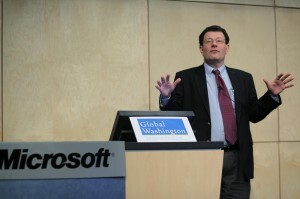 On December 7th, 2009 Global Washington hosted its first annual conference, “A Blueprint for Action”. The conference brought together the private, non-profit and philanthropic sectors to build the next chapter of our common global future. Participants spent several hours identifying the priorities for the sector. Global Washington received a tremendous amount of feedback about the most urgent needs facing the sector today. 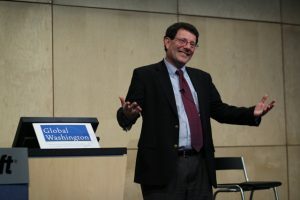 We at Global Washington are thrilled with the success of our first annual conference. Read and download the “Blueprint for Action” (PDF). 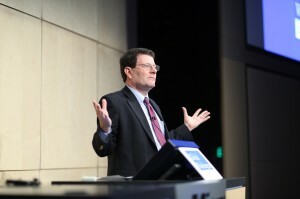 View a video of Nicholas Kristof’s keynote speech. View a Flickr photo collection from the conference. 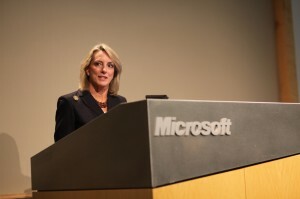 Read bios of dynamic Conference 2009 speakers. 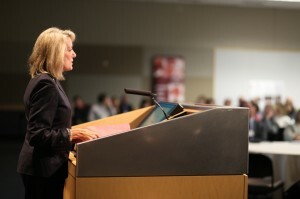 Over 300 people participated in the day’s events, engaging in lively discussions and sharing strategic approaches for strengthening cross-sector collaboration among Washington State’s dynamic global development community. We would like to give a special recognition to our panelists, moderators, and speakers who kept us engaged and inspired throughout the day— we’ve received rave reviews from attendees, many citing the quality of these articulate and thought-provoking presenters as the highlight of the event. Thank you to everyone who attended and, most of all, thank you for your insights and contributions to our Blueprint for Action. “Just as no nation can wall itself off from the world, no one nation — no matter how large, no matter how powerful — can meet these challenges alone. Nor can governments alone. Today’s threats demand new partnerships across sectors and across societies — creative collaborations to achieve what no one can accomplish alone. In short, we need a new spirit of global partnership.